Dwight Clark is the principal of the Law Firm of Dwight W. Clark L.L.C. He graduated from the University of Baltimore School of Law, and has practiced law in Maryland for more than 20 years. 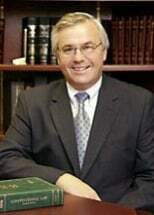 He has written and spoken on various issues related to estate planning and family law matters. He is a member of the Family Law Sections of both the Maryland and Howard County Bar Associations.